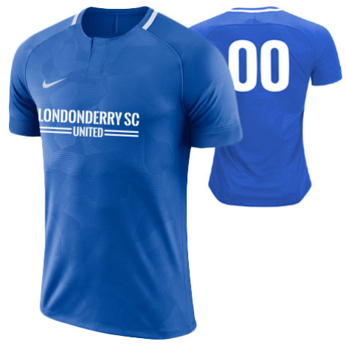 Londonderry SC United have changed our uniform design for 2018/2019 seasons (see below). 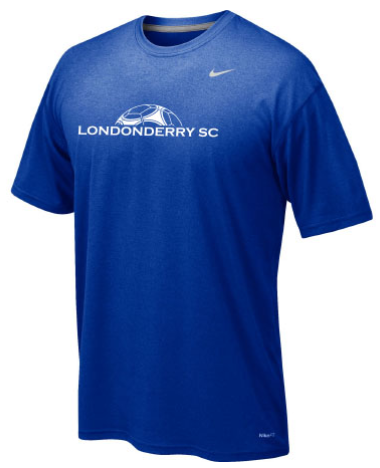 This new "required kit" is mandatory for all Londonderry SC United players beginning in the Fall 2018 season. 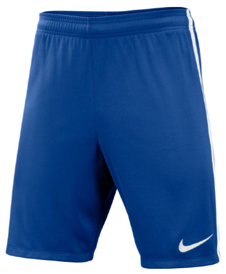 The required kit consists of both blue AND white jerseys, blue shorts, and blue socks. 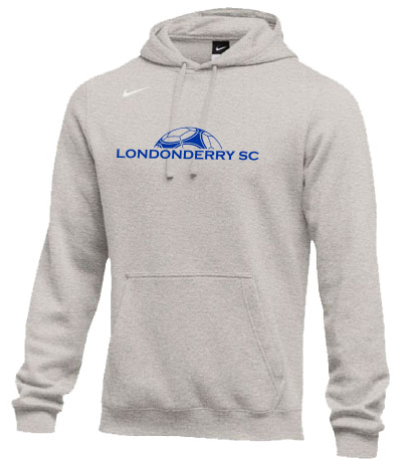 Sweatshirts, t-shirts, & other fan-gear ARE NOT part of the required kit. 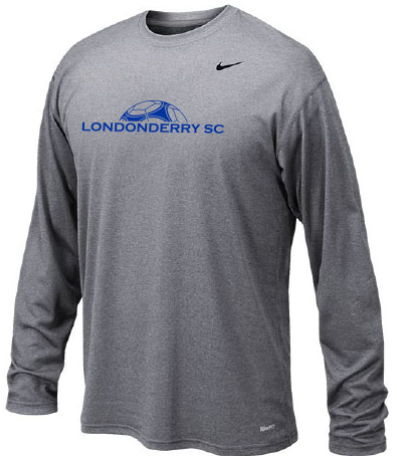 NOTE: The new Nike jersey style tends to run smaller than usual, shorts seem more true to size. Fanwear generally runs large. Please take this into consideration when ordering. 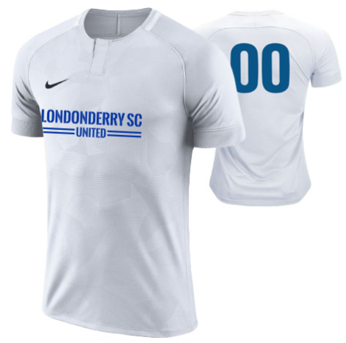 This new kit style will be worn for both the 2018-2019 & 2019-2020 seasons.